Some days, you wake up, look around, and think to yourself "Gosh, I hope I get to see some screenshots of robot dinosaurs today." Well today your prayers have been answered. 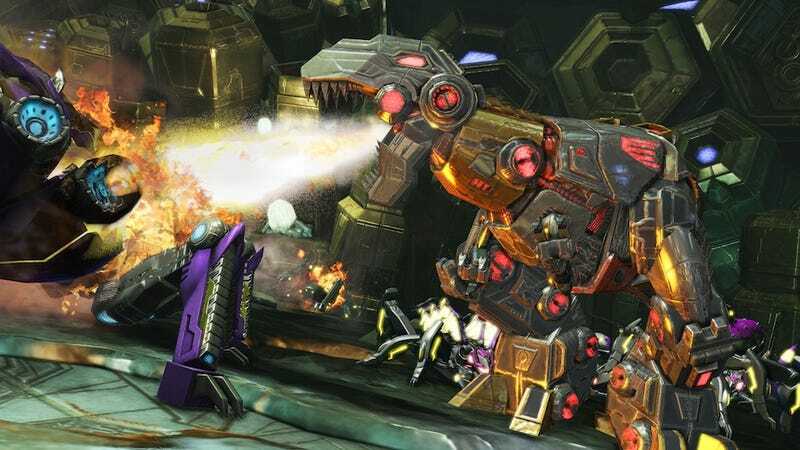 Here's a bunch of Dinobot screenshots from Transformers: Fall of Cybertron, courtesy publisher Activision. They are big and robotic and angry.